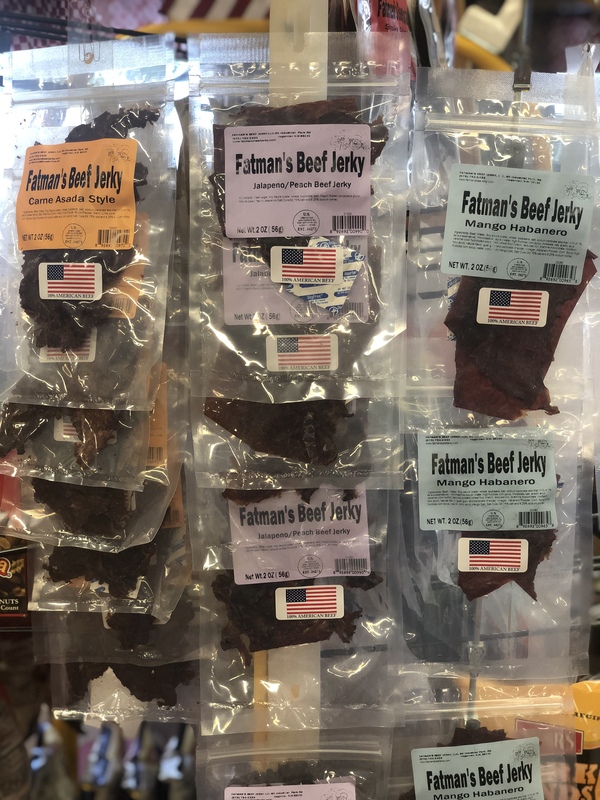 Who’s ready to try some new Fatman’s Beef Jerky flavors? Take it from us, you do not want to miss out! Two of our new flavors are “Mango Habanero” and “Jalapeno/Peach.” So far they have really taken up well with our beef jerky regulars. Both are extremely hot so if you like some spice to your snacks these are definitely for you! Stop by the store and check out all of the flavors we offer. We have over 15 different types so we know we can find your favorite. From “Salt and Pepper” to “Cowboy Style” we have you covered. Our shelves are refilled at 1501 Eastern Ave…see you soon! This entry was posted on Friday, March 29th, 2019 at 4:25 pm	and is filed under News & Updates. You can follow any responses to this entry through the RSS 2.0 feed. Both comments and pings are currently closed.